This is the Tekin Pro4 HD 3500kV 4-Pole Brushless Motor. 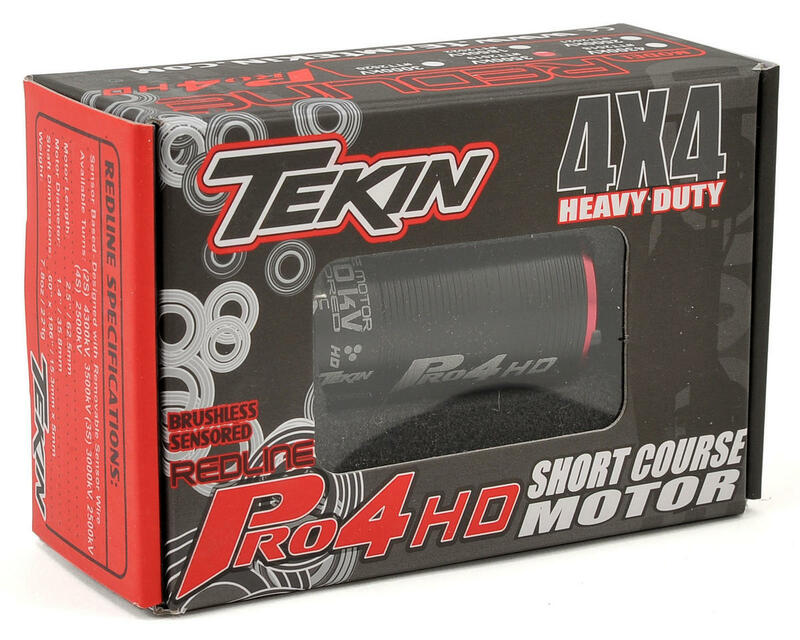 Tekin's Pro4 HD Motor raises the bar in 4wd short course, with the torque and power needed to level the competition. With kV ranges to accommodate 2S, 3S and 4S applications, 1/10 4WD Short Course has never been exposed to this much power! The Pro4 HD's longer 550 can and 4 pole design delivers the off the charts performance gains you need to move your truck to the front of the pack. This motor has monster torque and great run time.Race my SC truck on small tracks hit triples and quads no problem. on Large tracks run out of rpm. Motor is timed at 30 degrees on my RX8. I run this motor in a traxxas E-MAXX and SUMMIT with Castle XL2 1/5 scale ESC. 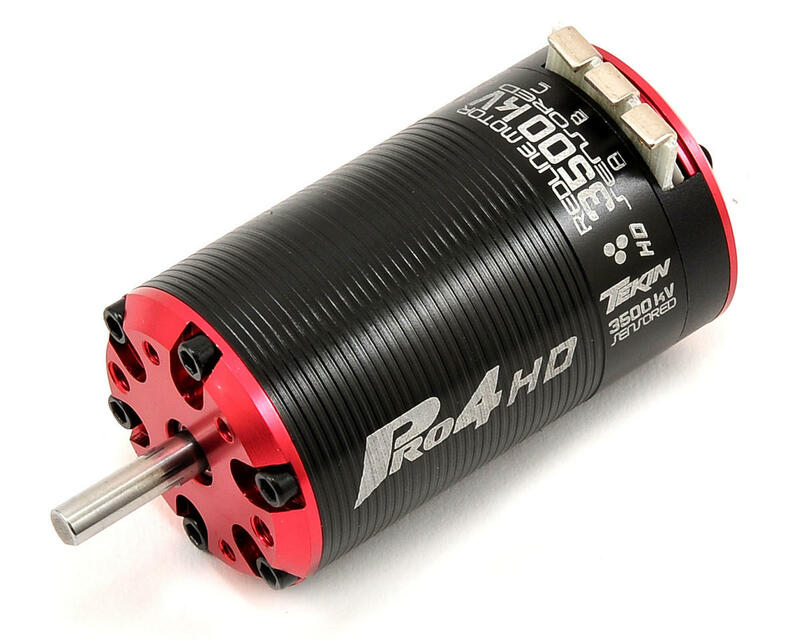 I run a 3s 8000mah to the tekin PRO4 HD 3500.Yes a 3s LIPO This motor screams at 40,000 rpm.